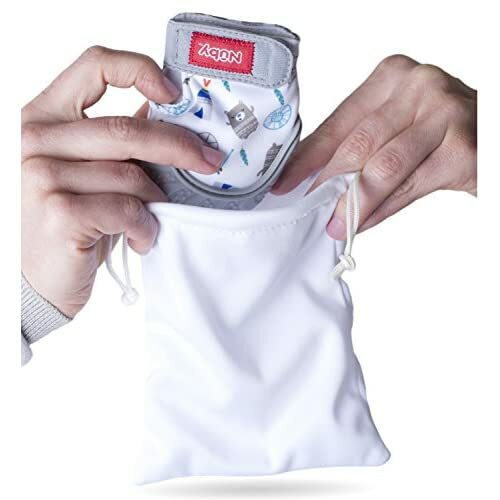 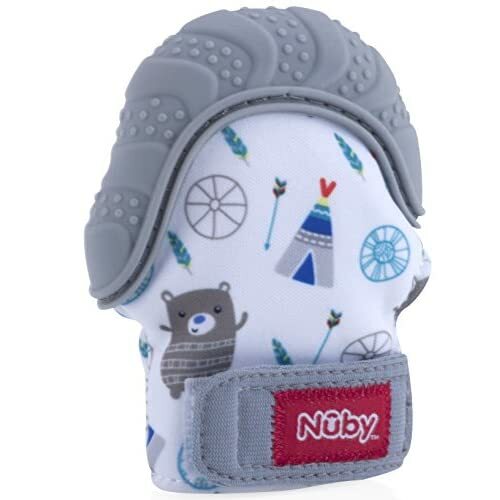 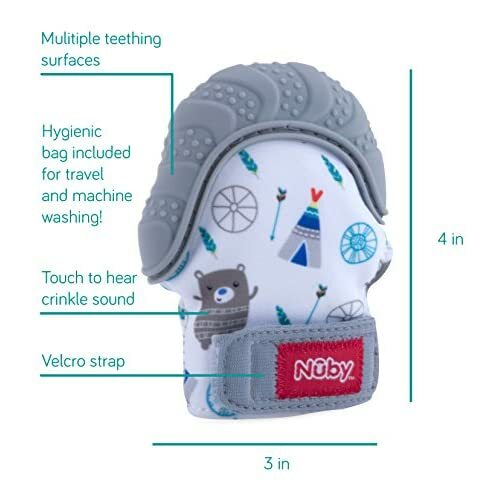 Nuby's Teething Mitten provides an innovative way to relieve and soothe your teething baby. 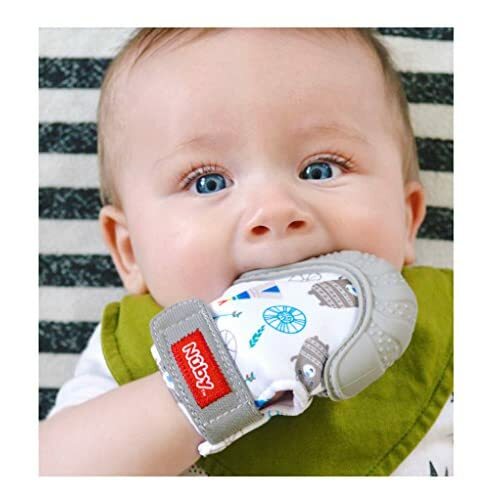 The soft, flexible mitten is a solution for babies who cannot keep hold of teethers, while also protecting baby from chewing on their hand. 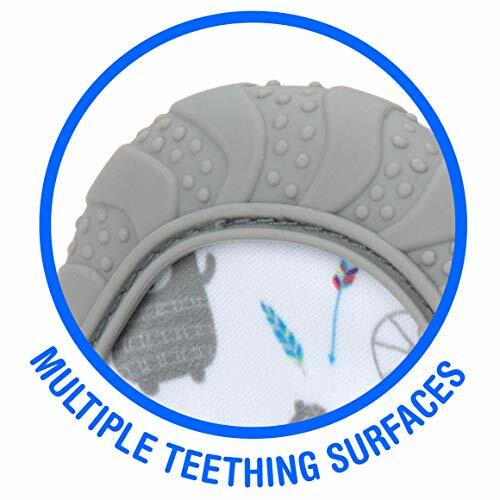 A variety of colors captivate your baby while the soft silicone provides stimulation to gums and emerging teeth.